This was certainly a movie that brings you “full circle”. And this is exactly what I like in a quality film. It had a lot of emotion, several bits of anger and tons of good moral messaging throughout. Red was an entertaining flick that pulled at your emotions, for better or for worse. I have to say this was a rather simple storyline that I enjoyed tremendously. This was a film about the good and bad in people. The movie had some really believable characters where you wanted to hug the hero and punch the villain in the face. Red is the name of the main characters, Avery’s, dog. A group of young punks come upon Avery while he’s fishing and end up killing Red with a rifle/shotgun for no reason. It was senseless and sad. So, Avery, in his calm and collected manner didn’t go ballistic. Rather he was set on a mission for the punks to apologize for the wrong they had done and change for the better. Avery’s patience is admirable considering the fact that it was clear he loved Red immensely. Avery continued to give the punks, as well as the shooters father plenty of chances to make-amends but these idiots were the stereotypical bullies that could not bring themselves to simply say sorry. But Avery was determined because he loved Red so much. In the end it’s a story about a lot of loss and little gain because stupid people do stupid things but if there is any opportunity to try and make things right, do it. Don’t miss your opportunity. As upset that clearly Avery was over the killing of his dog, he maintained his composure and genuinely hoped the punks would reform for the better. The main point I took from this movie is to be a decent person in spite of bad life events. And if you make a poor choice or decision be honorable enough to admit wrong. Lastly, don’t be a punk in the first place. 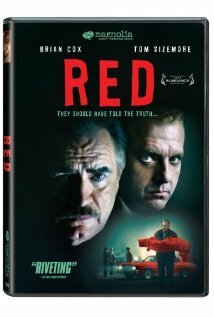 I won’t spoil the end of this great movie so I will end with the point that I have seen hundreds of non-memorable, or awful, movies lately and Red is the only one which I will watch again today. Red is worthy of 9 out of 10 Steeler Stars.